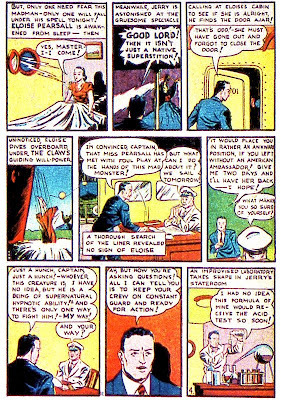 Golden Age Heroes: Long arm of THE CLAW! 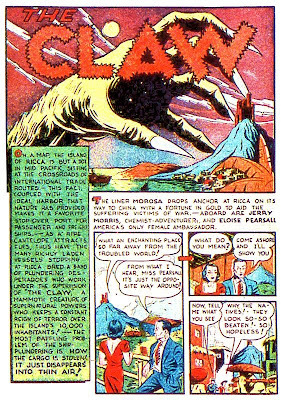 Most people who are aware of The Claw probably know him mostly as the arch-nemesis of the golden-age Daredevil. 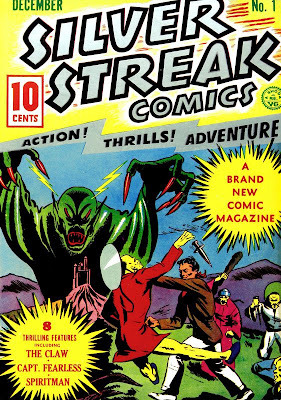 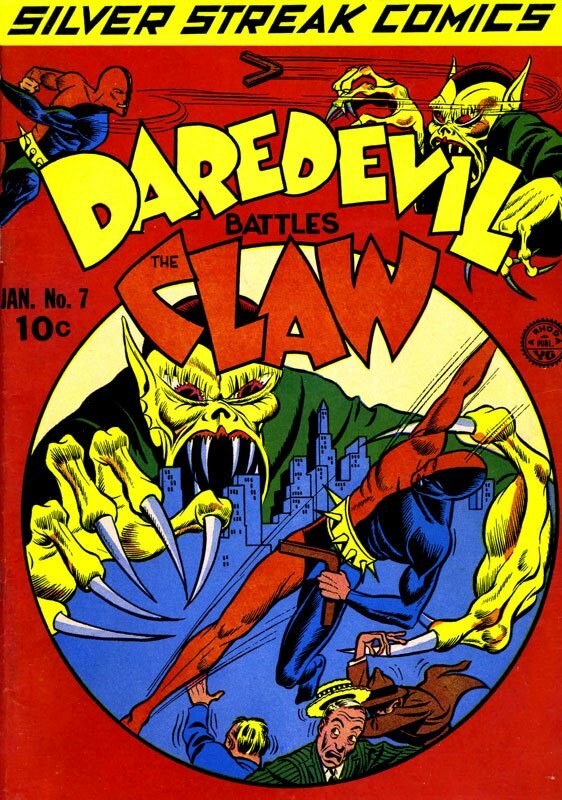 But The Claw actually preceded Daredevil by about 9 months, having first appeared in SILVER STREAK COMICS #1. 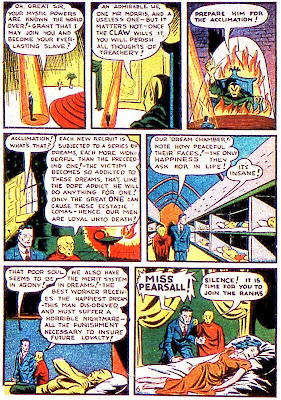 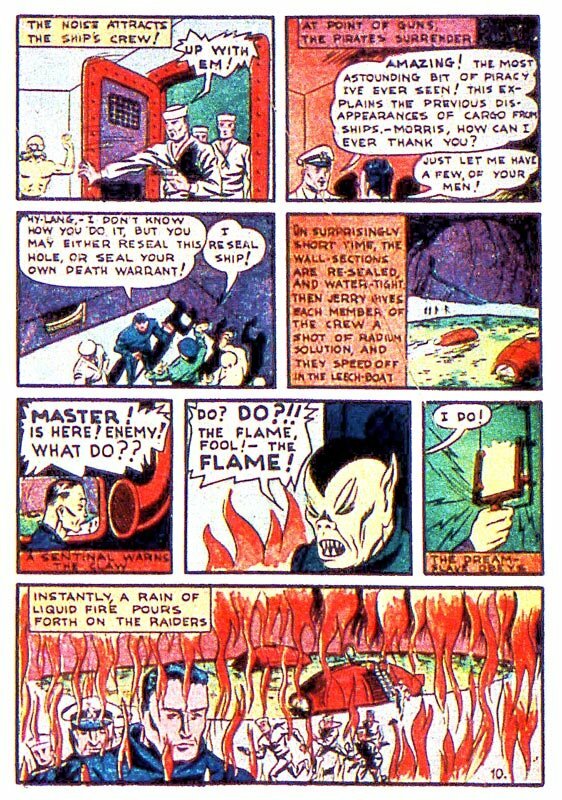 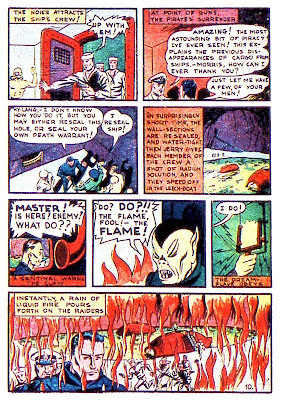 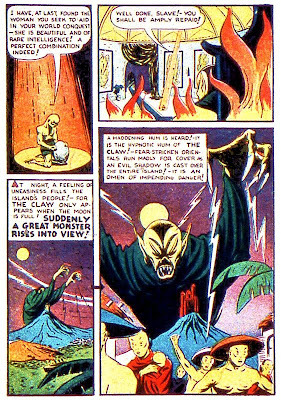 Odd that a monster/villain would have his own feature, did that happen frequently in the golden age? 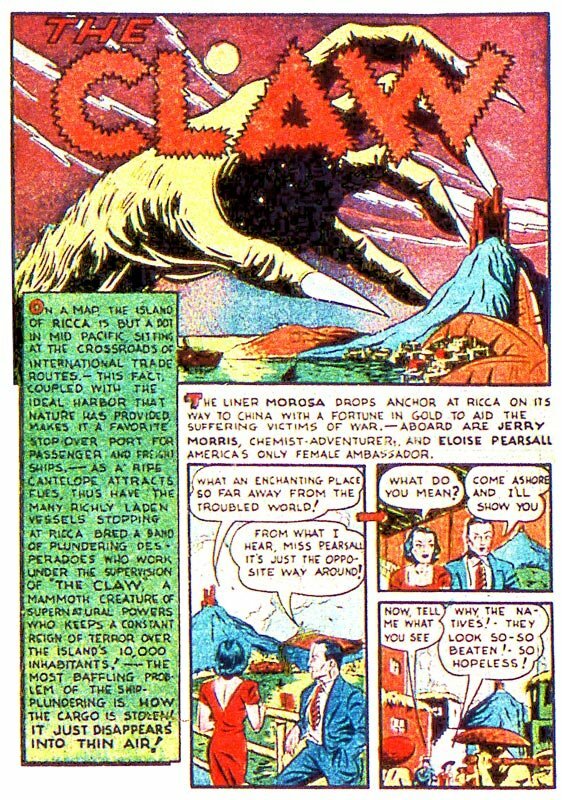 The Claw was never given any type of origin. 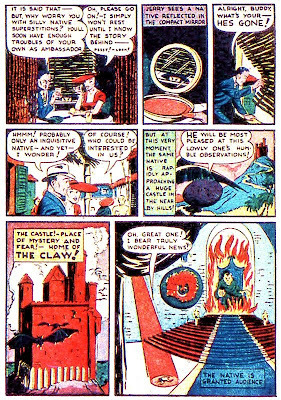 Or even really a hint of where he came from or why he was here. He was just a supernatural bad guy who wrecked havoc! 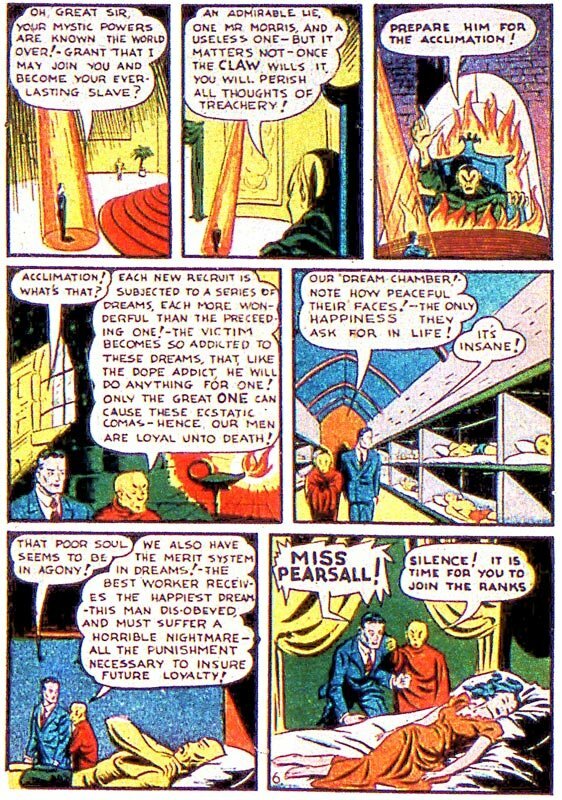 And that last page! 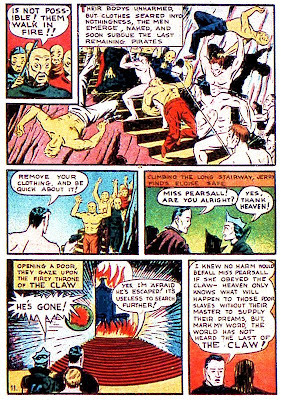 A bunch of nekkid menz fightin' the bad guys. 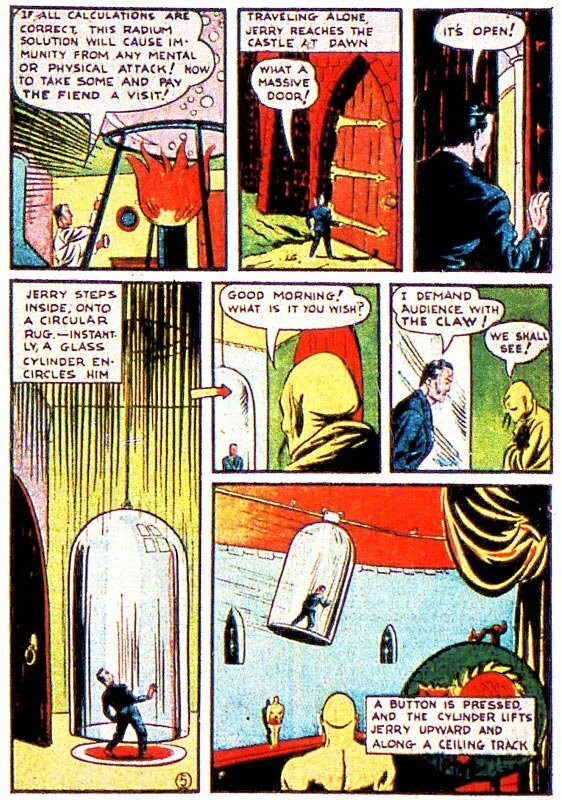 What's not to love!!? 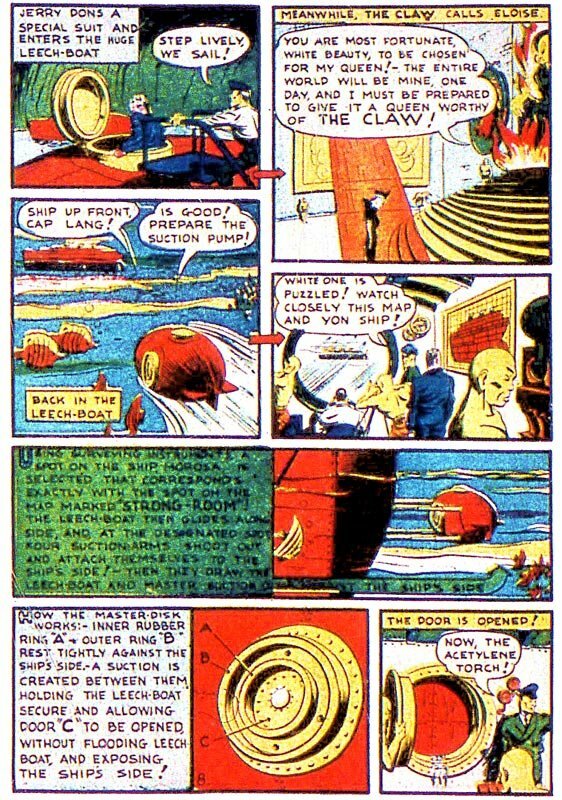 Ah, but The Claw was given an origin. 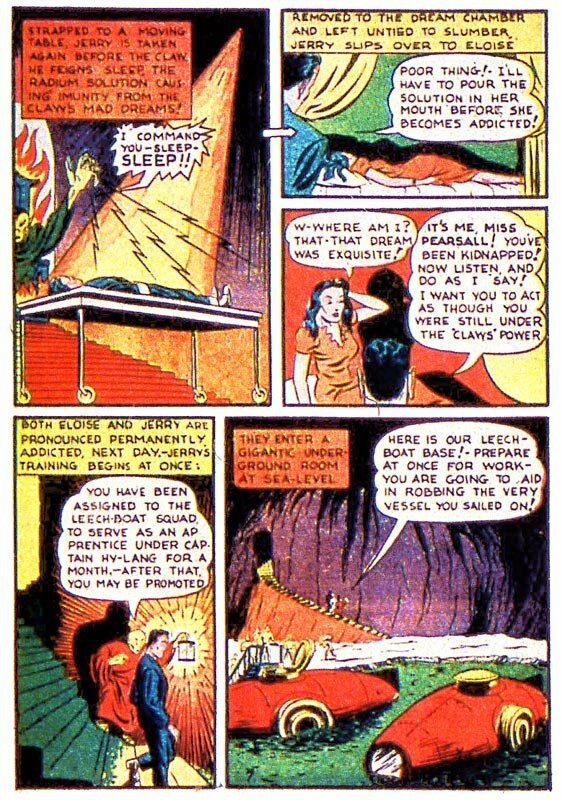 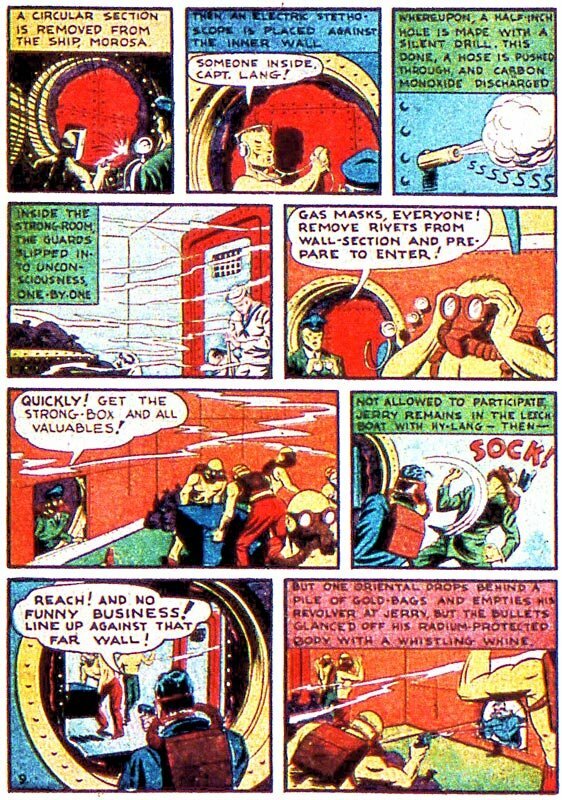 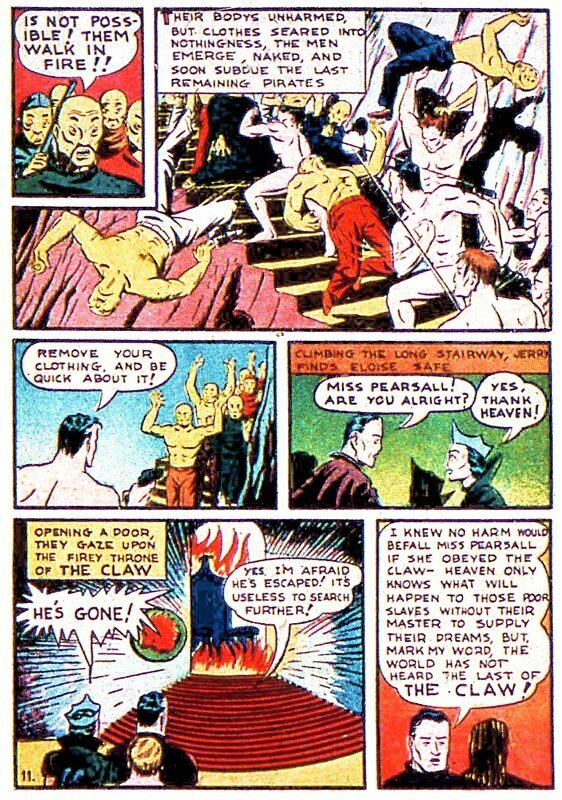 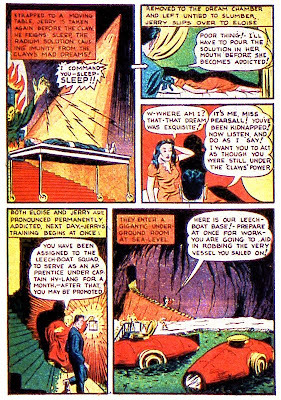 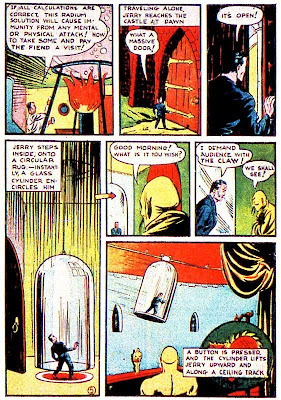 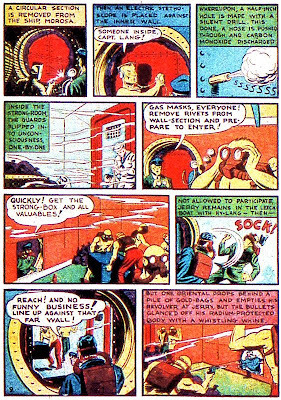 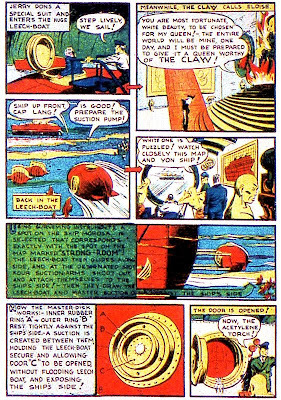 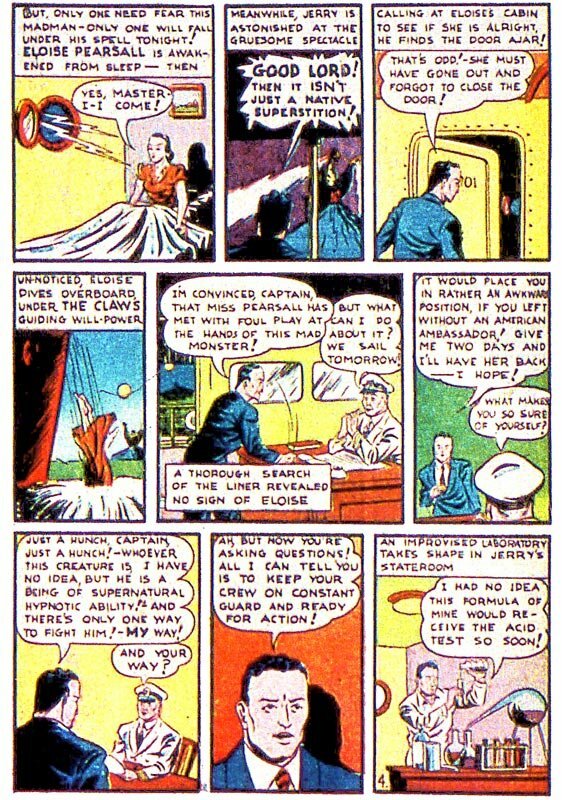 Download Daredevil Comics #12 from Golden Age Comics Downloads and you can see the origin of The Claw.